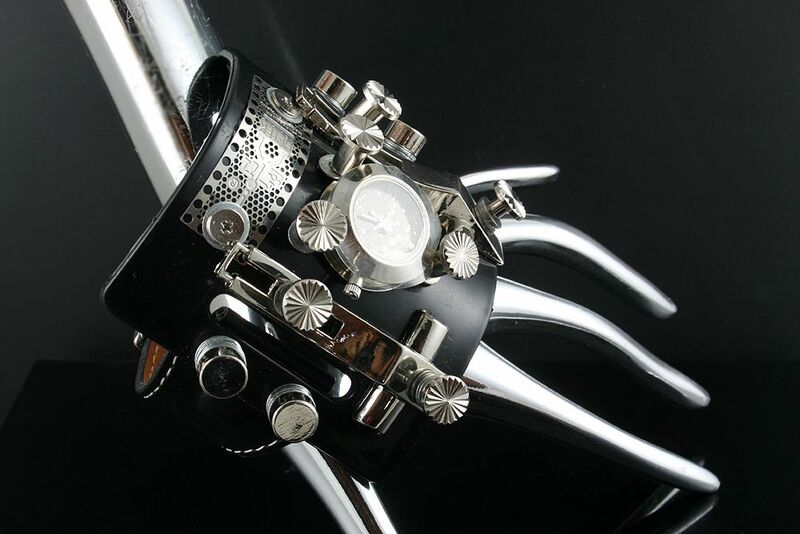 Unusual, unique, unisex, handmade wrist watch cuff. Materials used, genuine leather straps, stainless steel components. The whole construction is large, chunky and three dimensional.